KAHULUI — Aliya Harmon couldn’t wait to call her sister. Before she could make it to the exit of Patsy Mink Field, her family members already had Kaylee Harmon on FaceTime from Monmouth, Ore.
Aliya Harmon allowed one hit and struck out eight in three innings, smacked a two-run homer and scored twice for her Baldwin High School softball team in an 18-3, four-inning, season-opening win over Maui High on Saturday. Kaylee Harmon, a former Lahainaluna standout who played last year at Western Oregon University before deciding to sit out this season, already had the full story before her younger sister could get to the phone. 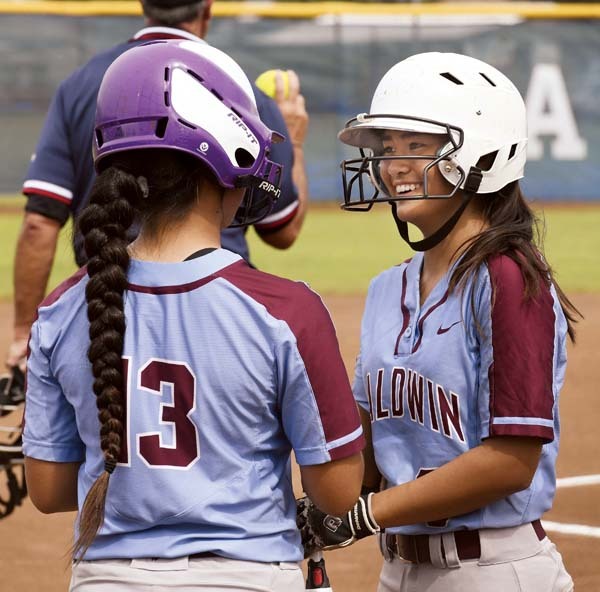 The Bears have not been to the state tournament since winning the 2015 Maui Interscholastic League title. Harmon will clearly be a big part of the Baldwin plan this season –the Sabers’ first eight outs Saturday were via strikeout. The only hit that Harmon surrendered was a three-run, inside-the-park home run by Destiny Kama. The Bears piled up 16 hits –Sasha Tanoue-Kekona and Alyssa Ferreira combined to go 5-for-5 in the top spot in the lineup, Sammy Martinez was 3-for-3 with a double and two RBIs, and Jessica Ai was 2-for-2 with a double and three RBIs. 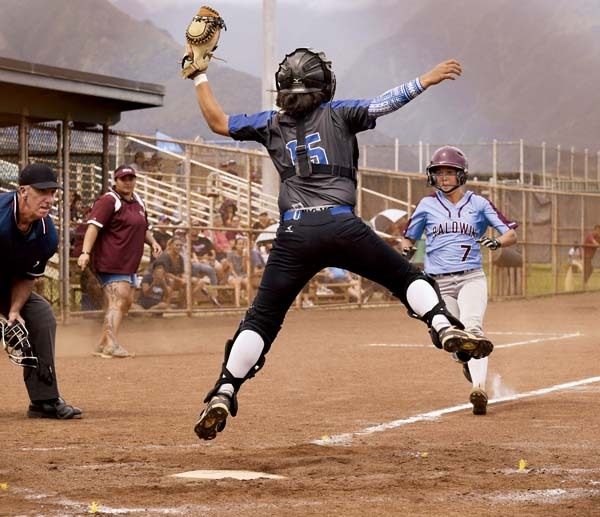 Maui High — which has reached the state tournament the last two years — has a different look this season with new head coach Erick Rivera presiding over a young team that lost shortstop Nawai Kaupe to graduation and 2016 MIL Player of the Year Cira Bartolotti, a junior pitcher who transferred to Kapolei at the beginning of the school year. The Sabers started three freshmen and two sophomores on Saturday. 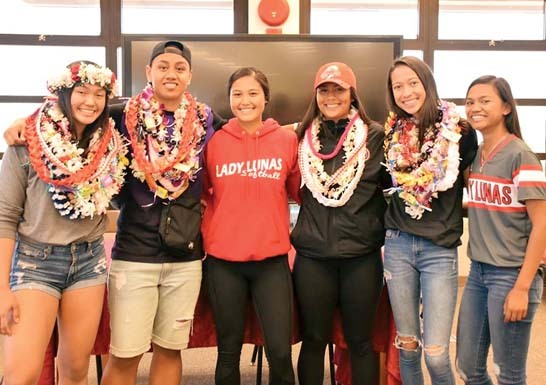 Aliya Harmon, Kacey Sakamoto (4) and Avei Silifaiva; Tori Honokaupu and Makana Nakanishi. 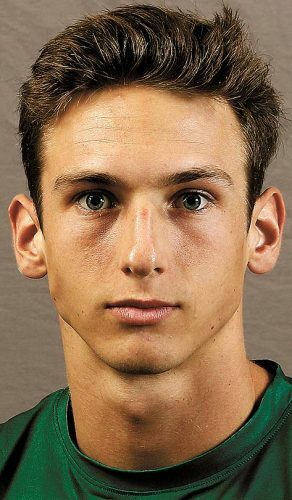 W–Harmon. L–Honokaupu. 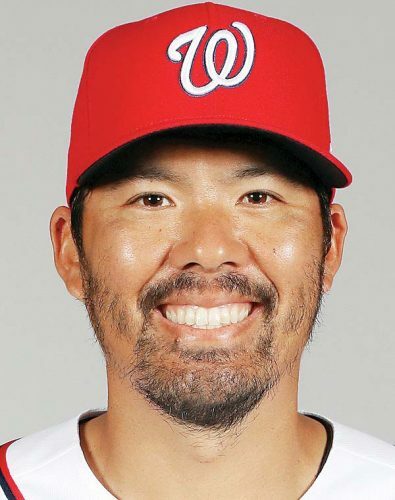 2B–Baldwin: Sammy Martinez, Jessica Ai. 3B–Baldwin: Shalei Awai. 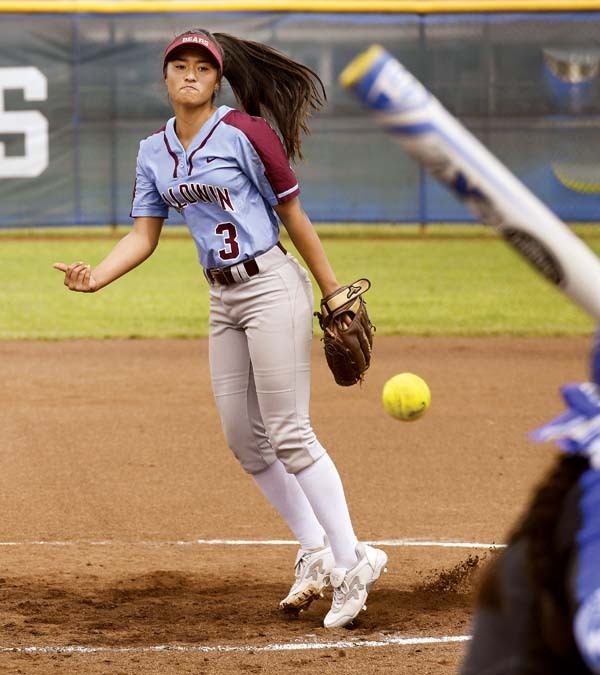 HR–Baldwin: Harmon; Maui High: Destiny Kama. 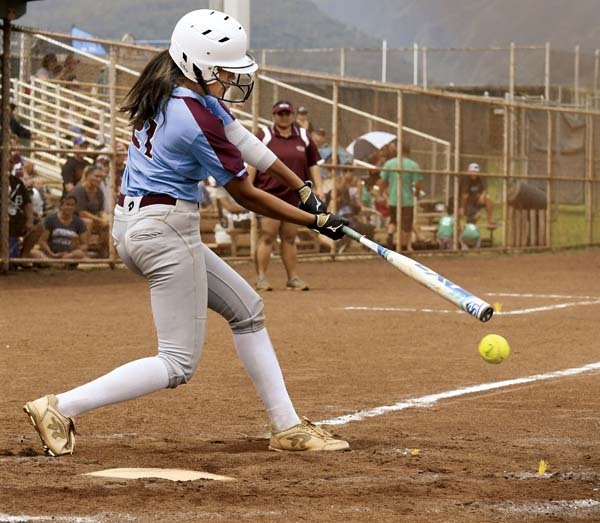 Leading hitters–Baldwin: Sasha Tanoue-Kekona 2-2, 2 runs; Alyssa Ferreira 3-3, run, 2 RBIs; Harmon 2-4, 2 runs, 2 RBIs; Silifaiva 2-2, 4 runs; Martinez 3-3, run, 2 RBIs; Ai 2-2, 3 RBIs; Siena DeCambra 2-2, run, 2 RBIs. Baldwin vs. Lahainaluna at Maui High, 6 p.m.
Molokai at Hana, 4 p.m.
Kamehameha Maui at Lahainaluna, 10 a.m.
King Kekaulike at Maui High, 10 a.m.